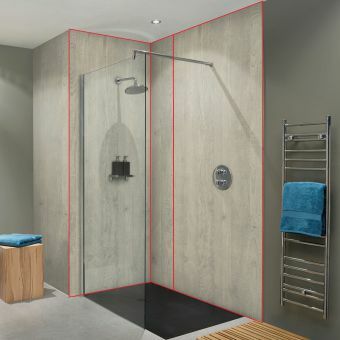 Pack E is a recess pack for a maximum of a 1200 x 1800 x 1200mm recess 3 wall showering area. 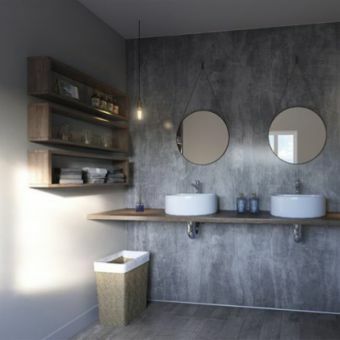 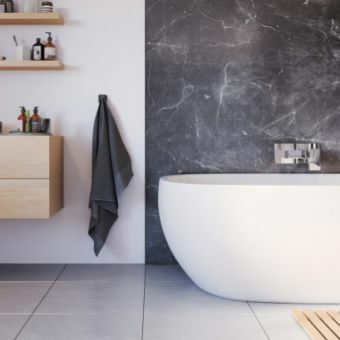 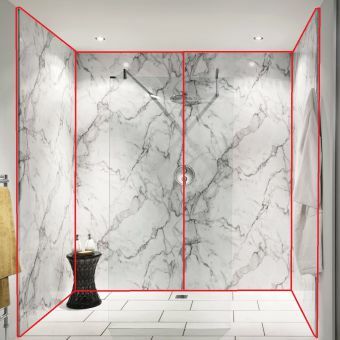 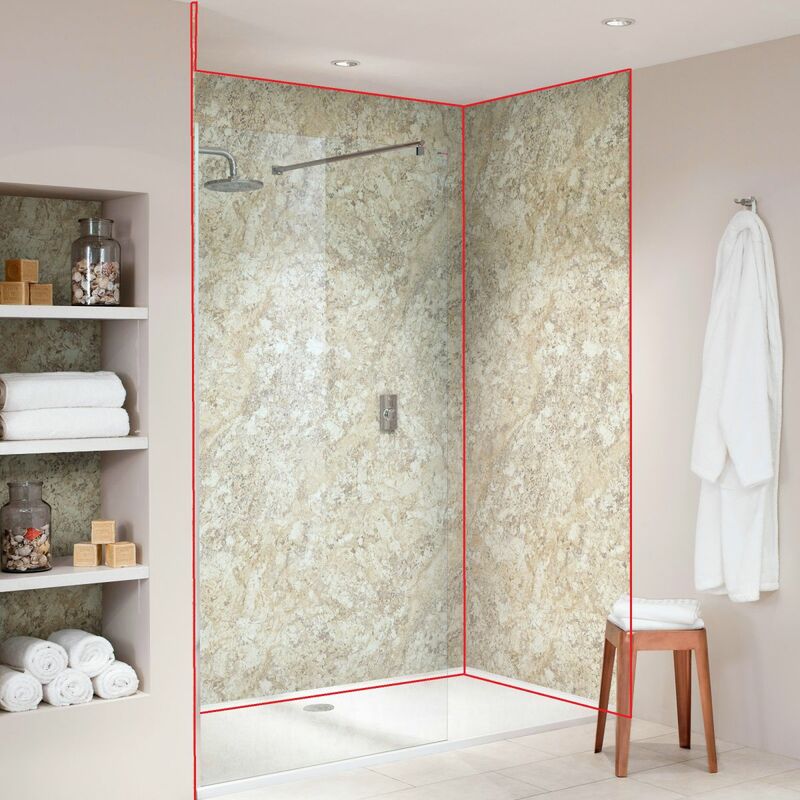 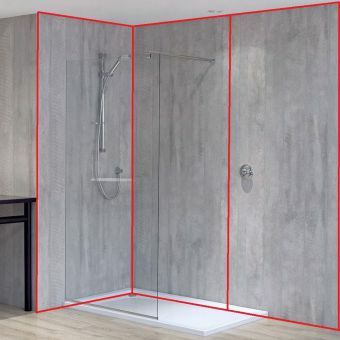 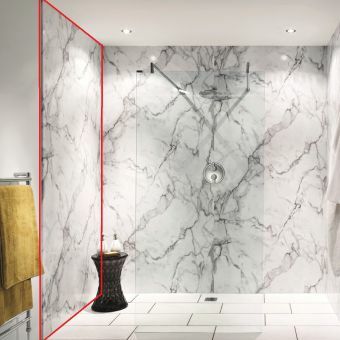 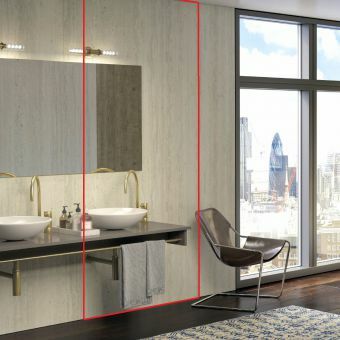 Comprising of 4 sections of 100% waterproof Nuance wall panelling by Bushboard the pack allows you to create a large showering area in a wide range of 25 colour choices, this allows a huge range of looks to be created from modern glossy colours to more timeless marble sheets of textured, waterproof showering area walls. 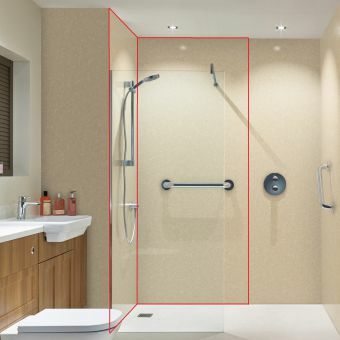 The pack comes complete with all the parts you need to install so you can get started straight away. 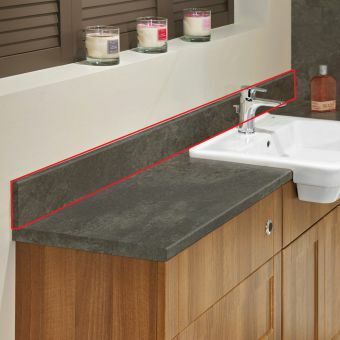 Nuance is designed to be frameless, with ‘postformed’ edges that are smooth and finished to a curved edge. Should you wish to create a framed look, optional decorative trims in black, white and polished silver can be purchased, but these are not a required item as Nuance is 100% waterproof without any trims.